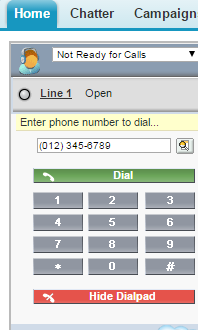 This is an optional additional number for a call center, visible on the call center's phone directory: this is useful for numbers not releated to CRM objects (e.g. queues, conference rooms). This seems boring, but continue reading to see some more action! 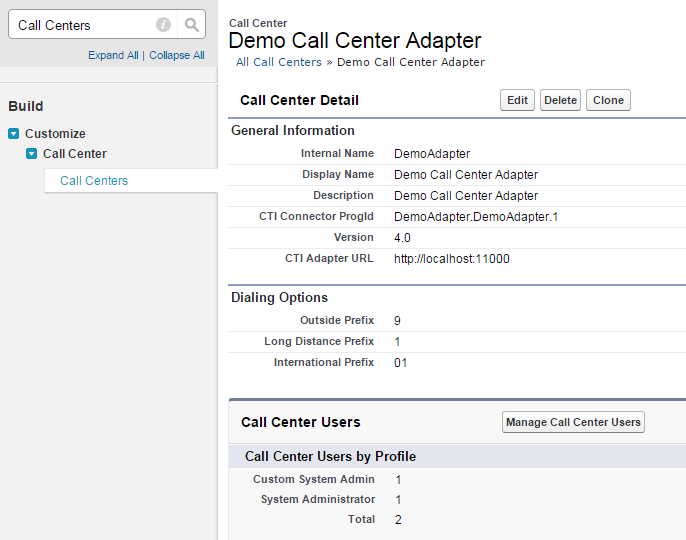 The object can be optionally linked to a specific call center: if not set, this will be considered a global value (cross-call center valid). 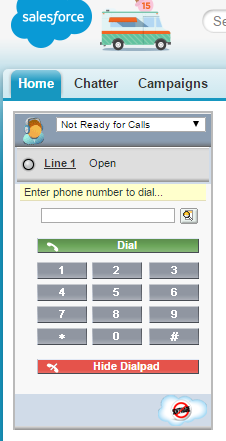 Let's see how this is included in the overall Call Center configuration. 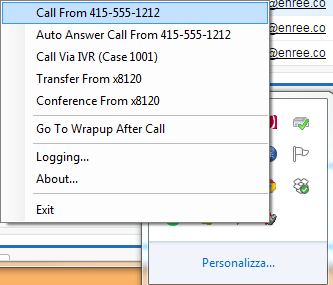 The Call Center configuration involves the configuration of a Computer Telephony Intgration, aka CTI. 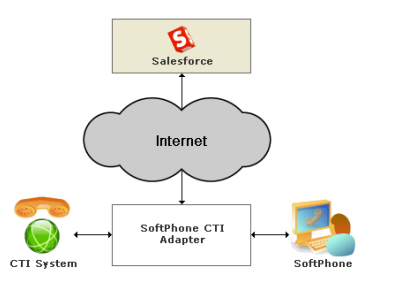 As you can see in the picture above, CTI is an external service that communities with Salesforce: it is responsibile for handling phone (and other means, such as SMS or chat) communications and sending back to the CRM information about the call (e.g. 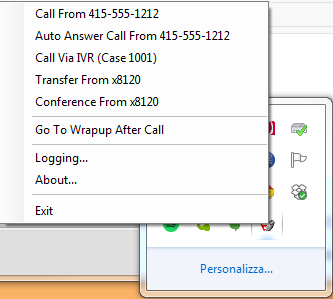 calling number, duration of the call, origin, ...). 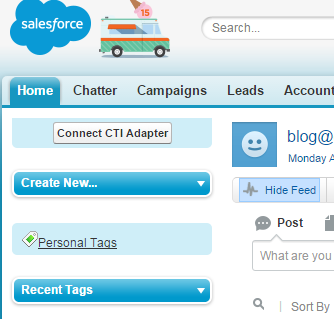 Here you can find the latest complete guide on CTI configuration. 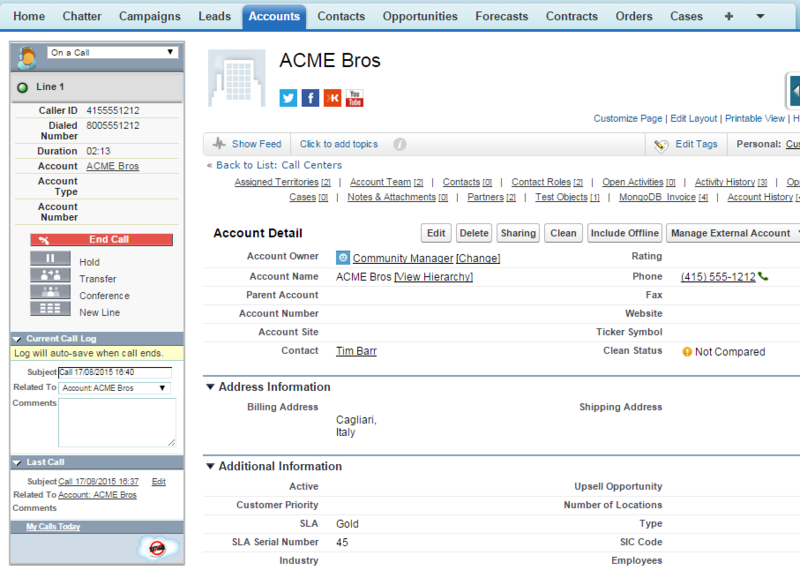 Salesforce.com fortunately give developers a way to try this feature out without having to have access to real CTI hardware. First download the CTI Demo Adapter from this link. Once installed, you'll see the icon in the lower right corner of your desktop (sorry, MS Windows systems only); take the [installed dir]/DemoAdapter.xml file. 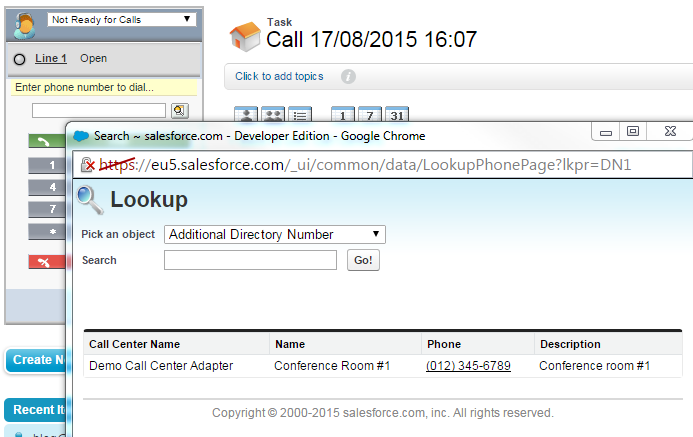 Now click on Setup > Customize > Call Center > Call Centers and click the Import button and import the previous XML file. Click on Add user button to add new users (your current user at least). This happens because you are on an HTTPs site and trying to load an HTTP (less secure) content inside an iframe (don't worry it's not your fault!). Click on the little shield on the addess bar (I'm using Chrome) and click on "Load Anyway" link on the popup that will appear (and reload the page). All this configuration to show where the AdditionalNumber object lays. You can customize the Demo Adapter by changing the "demo_menu.xml" file (see more datails in the guide).